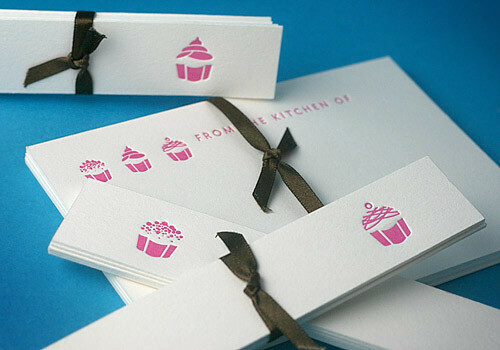 I used these cards today and it reminded me of a bunch of cute cupcake stuff that’s crossed my path recently. These are letterpress cards from Dingbat Press. If you’ve been following the site for a while, you’ll remember these she made for me a while back. I love letterpress. Love it. It’s so substantial and makes writing much more fun. Check out her site and you’ll find a ton of other gorgeous designs. See this bag. 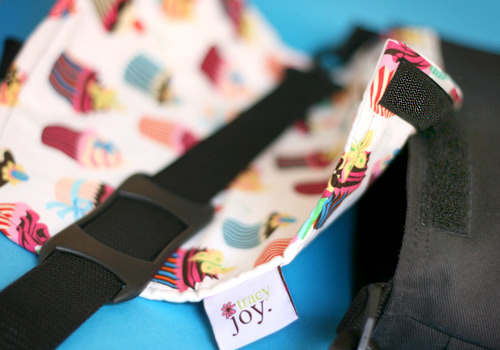 It’s a camera bag that was offered to me by Tracy Joy Designs. She had one cupcake design left and gave it to me for the price of shipping. Now, I usually don’t like pattern stuff. I’m a solids kind of girl, but I thought what the heck… that’s a pretty good deal… and maybe I’ll do a giveaway with it or something. And, here’s the best part – that I didn’t even notice until I was on the way home. The flap is removable. You can switch it up with different designs. Cute, huh! I don’t think this style is available in her store, but I bet you could do a special order. And if not, she has other cute bags. Oh no. I was wrong. 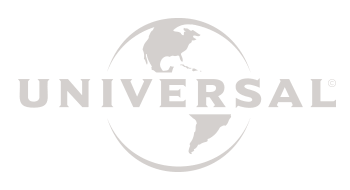 I just went to their site to get the link for you and it turns out they are closing shop. Serves me right for waiting so long to post this. But, the good news is they are having a BIG sale on all their remaining inventory.  Maybe you can score a deal. Now, control yourself. These are really adorable. 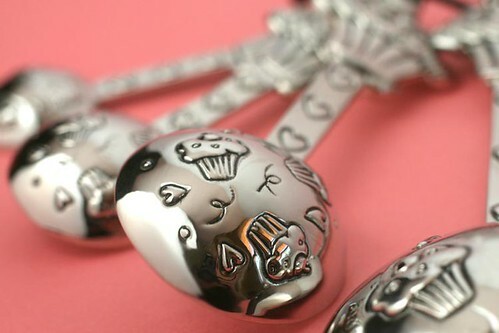 Heavy metal cupcake measuring spoons. Look at the inside and the handles. Eeeeeeeek! Keeeeeuuute! Look at their bottoms. And look at the handles, they have tiny hearts on them. My new friend, Pioneer Woman Cake Pop Demonstration Winner, and blogger… Starwoodgal, gave them to me. She found them at a charming little store in Arkansas called Signed Sealed Delivered.  I looked on their site and couldn’t find them, so here’s another place to get them. Recognize these little guys? 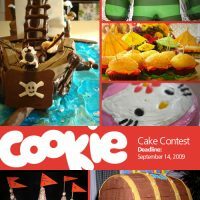 They’re from Cakespy. You know how much I love Cakespy and her L’il Cuppie character. 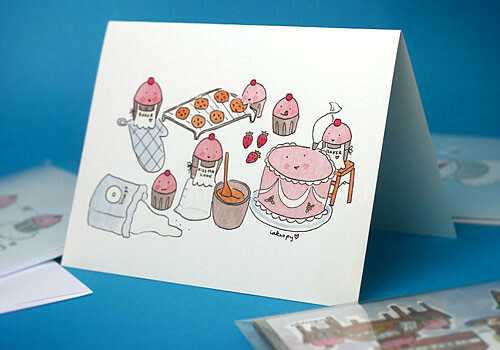 I have several of her paintings and now I can spread the sweetness with these little cute note cards. She also has buttons, magnets and a bunch of fun paintings. 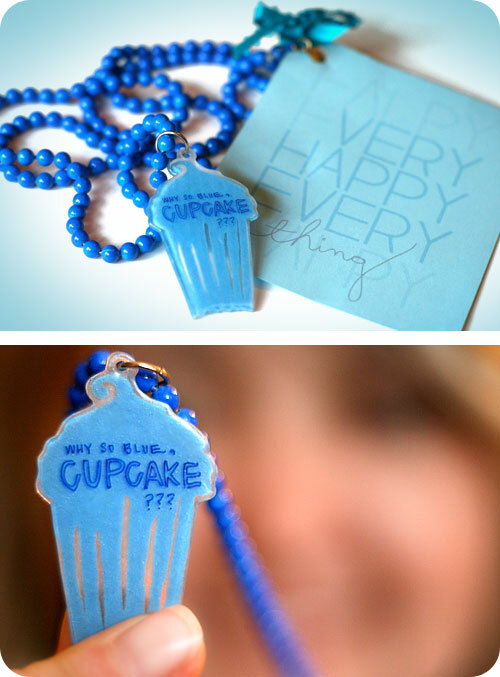 How could you be blue with this hanging around your neck. I bought this vintage necklace with plastic cupcake pendant recently from Very Happy Everything. They just got started on etsy, but have tons of cute necklaces. I’ll warn you, though. You need to have a little whimsy in your bones for some of the designs… like the Hammerhead sharks with bow ties. Oh, to be in their brain for a few minutes. 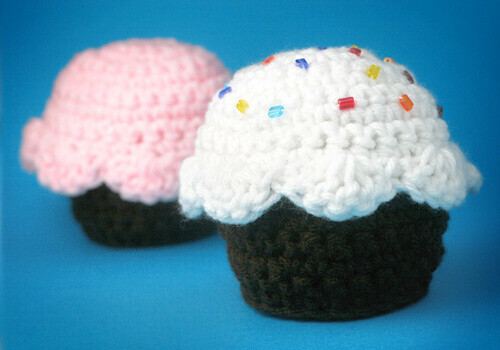 Crocheted cupcakes! A reader sent me these the other day. Hi Jackie from New York. How are you? Thank you so much for these and all the time it took to make them. I’ve never crocheted anything, so I have to say, I’m super-impressed. 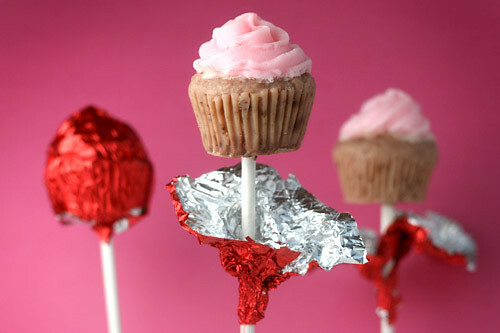 Cupcake Pops! Nope. They’re actually cupcake soaps on sticks. LoveLeeSoaps gave me these. They look pretty real, huh? You should see some of the other stuff she makes. It’s all crazy cute! I promise. I also found this in my pantry today. Sprinkles cupcake mix. Sprinkles was very thoughtful to start selling a mix version of their fabulous cupcakes at Williams-Sonoma. Especially since I have been waiting FOREVER for them to open a store anywhere within a day’s drive from me. 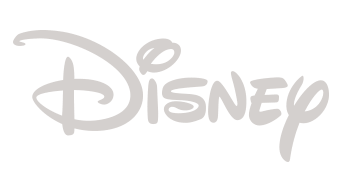 I had the real things once, and I’ve been thinking about them ever since. But, here’s the problem with this mix and things like it. If you notice the expiration date on the right, you’ll see that I’ve had it for quite a while… way before that date even. It’s a quirk of mine. I find it extremely difficult to open cute packaging. I would rather just look at it contained, than open it. Quirky, right? Here’s another example of really cute packaging from Chronicle Books. 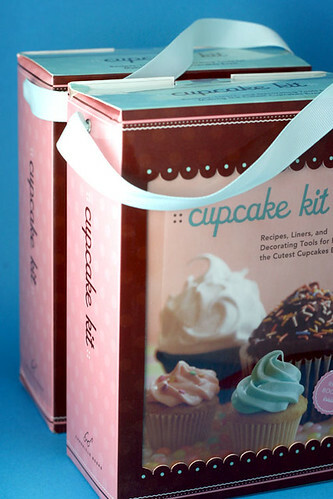 Take a look at this Cupcake Kit ! It’s so cute, I haven’t even opened the box to hold and look at all the fun stuff inside. But, guess what?! I have two of them. So, maybe you can help me out. If I give one away, will you open it and tell me how fun everything inside is? Please, because I’m going to put the other one on a shelf and stare at it. Okay, it’s settled. One of these kits is up for grabs. But which one of you wants it? Let me know. Just leave a comment on this post and let me if you want to tear into this box. Easy. One winner will be chosen at random* and announced sometime Saturday morning on this post. Time to reveal the winner. Congratulations eRika! The goodies will be in your hands soon. I hope you have fun with it. Now, guess what?! I’ve decided to go ahead and give the second one away also. That’s right. Two winners. Why? Because you guys are always so great and I know I will just be staring at mine on the shelf. I think I would feel guilty knowing how badly so many of you wanted one. And the second winner is comment number 40. Ooooh, a low number this time. Who’s it gonna be? Jenni, of course. And, I’d love to see any results from your new cupcake kit. Thanks everyone who entered and graciously agreed to tear into this box for me. Some of you even have the same packaging problem as I do. (Yay, I’m not alone.) And, some of you… well, let’s just say I wouldn’t want to come between you and any sort of wrapped gift. But, it would be fun to watch. 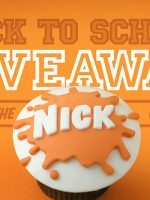 There were a total of exactly 2,800 entries for this giveaway and it was one I really enjoyed reading. Made me laugh, smile and wish I had even more kits to give. And Carissa, even though you didn’t win, and you were “number two-thousand-four hundred and fifty,” I did read your comment. Hi! Oh that’s so cute! I’d definitely tear into it! 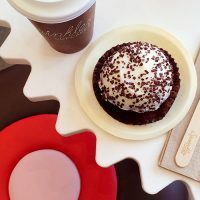 Yes, would love to tear into the box, but would love to have a sprinkles cupcake even more! That looks like so much fun! 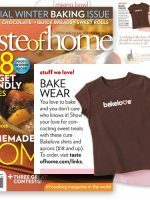 My daughter and I could have a blast, she loves to help me bake. I would love that. I adore making cupcakes! What fun!! It looks like a great activity to do with my girl! I would LOVE to tear into the box! 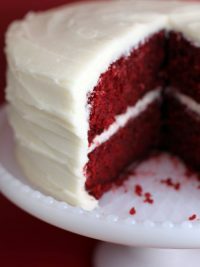 I am just about to start getting into cooking and baking since I’ll be living on my own in an apartment for the first time next year! I would LOVE to have that kit! I would absolutely love this kit. 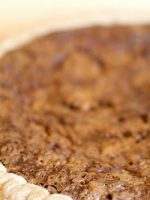 I love this blog and all of your cute little recipes!!! Of course I would like to dig into that cutie box!!!!!! i would tear into that box the moment it came! Awh!!! I would love to tear into that yummy box!! 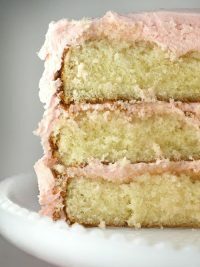 That cupcake piled high with that white frosting is just calling out my name! Oh now that sounds like lots of fun!! So fun!! I have 3 mini sous chefs who could get into that box in seconds flat! lovely!! i’d love to try that sprinkles mix. thanks for the chance to win. i would love to have the cupcake kit. so cute! I hate to destroy beautiful packaging, too. But for you, Bakerella, I would do it! I’d tear into that. But my 4 year old would probably beat me to it! Yeah, I would definitely make some use of that! I’d love to open it, it’s adorable! Oh my! That looks lovely, if I don’t win (and I only ever won something once on a kids TV station back about 8 years ago), I’d love to know where you got it. And of course, everything else in this post is amazing tooo. I am ready to do some baking. Hope the cupcake kit is coming to my home. I wouldn’t tear into it – I would open it hastily but gently and pull out the contents one-by-one like it was Christmas 1992 all over again. Christmas 1992 was when I got an Easy Bake Oven, a Teenage Mutant Ninja Turtles bike helmet and pajamas with “Jacq Attack” written on them. In other words – I’d be psyched!!! I would definitely open the packaging but I wouldn’t “tear” into it. I tend to be a very careful package opener which drives my family nuts at Christmas! Oh! Oh! 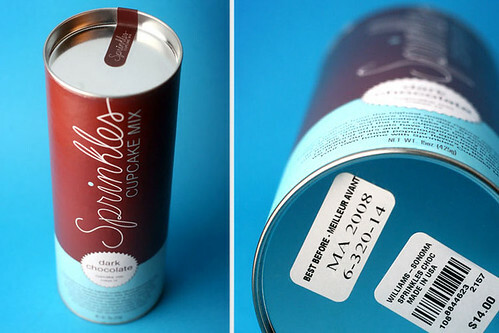 I love kits and cute packaging as well, but I would tear into this one faster than you can say sprinkle. I would love to tear into that! Yummy! Sooo Cute! 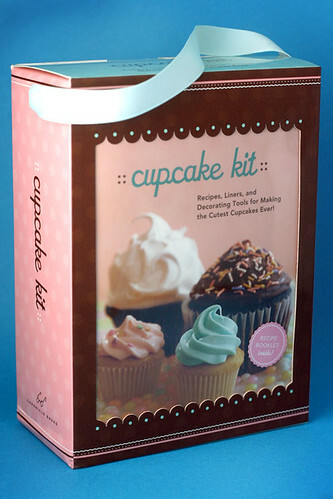 I’ve enjoyed your ideas and look forward to maybe delving into this cupcake kit. Thanks! How cute! I would love to tear into that box to discover all of it’s delicious contents. I would love to open this! 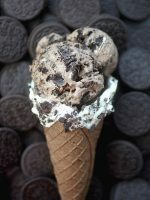 It’s too pretty to tear but I would still gleefully attack it. Oh how I would love to see what is in that kit! 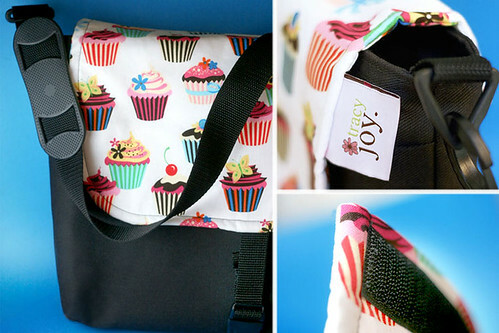 And would of course create a mini-photo-documentary of the events resulting from using the cupcake kit’s contents. How fun! oh for pete’s sake, must we play this cat and mouse game, bakerella? ok, fine, I’ll comment and then when I “randomly” win this FAB prize I’ll act very graceful and surprised. Like any Fan Club president should. (wait…now if I really DO win, am I gonna have to forfeit due to speculation?) crap. Adorable! My daughter would love it! 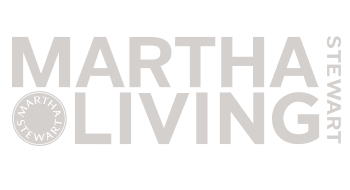 I am new here – but fell in love with your blog! I would loveeeeee to tear into the box and let you know how much fun it is!  So exciting!!! How can you have all that stuff around and not be using it?? Pick me pick me!! I would LOVE to dive right into that box! I would be more than happy to send pics of the contents with the cutest model ever….my daughter! Of course I would tear into that mofo! LOL! I would love to tear into that box like a starved tiger! Cupcakes are my addiction. 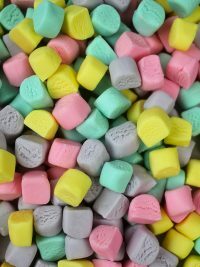 I enjoy making them, eating them, and giving them away. I would love to have this kit for all the new recipes. How cute! I love making cupcakes, almost as much as I love eating them! I’d love a cute little kit like that! Reading this post made me hungry, and I’d be happy to make and devour cupcakes in the name of research. Oh my boys would love to break into that box and make some cupcakes! Would love to have that! My daughter & I would have a blast! I would love the cupcake kit. I’ve seen it in the stores and it looks like so much fun. That is the coolest thing ever! I would love to tear into that box! As pretty as it would on the shelf (and i’d be tempted to keep it there too…lol) I would love to have (and open) this box! I would LOVE to tear into that box!! Mu girls would have a blast helping me out! 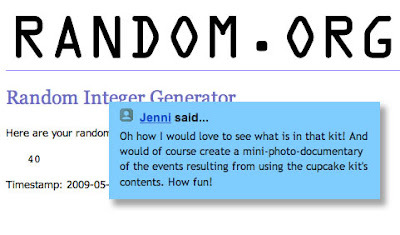 Oh, please random generator, pick me! I’d take one for the cupcake team and open it for you. 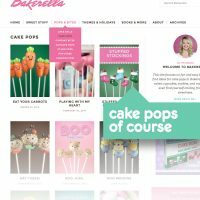 Bakerella, you’re the best! I would love to help you out by tearing into that box! Yes, please! I haven’t made cupcakes in ages. Maybe some summer-themed ones would be in order! I’m in! Love the kit. Follow me @digital_cupcake on twitter. I would tear into it right away! My birthday is a month away and I always make myself cupcakes!! YUM! It is so cute! I would break into that and tell you how much fun it is. After a stressful week tearing into this would make my day!! ahh! It’s sooo cute!! I’d love to see what’s in it!! I definitely open any and all baked goods! I would definitely love to tear into one!!! I soooooooo want to tear into that box!! 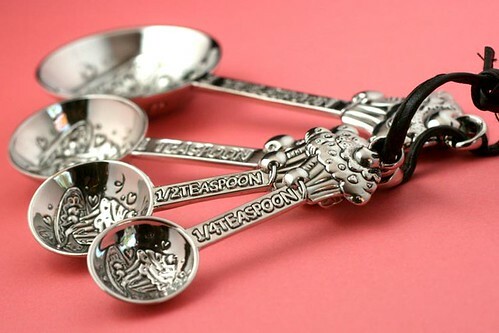 love those cupcake measuring spoons!! I’d bake immediately after receiving! I hope to be tearing into that soon!!! I SO want to tear into that box!! 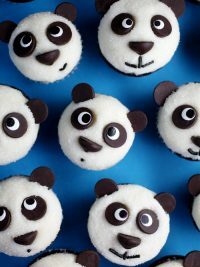 I LOVE cupcakes!! 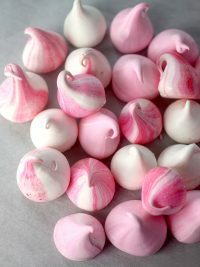 Looking at them, AND eating them! 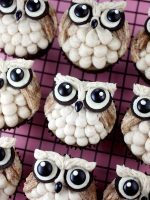 Cute and delicious!! too cute! i would love to include that in my kitchen! The cupcake kit is so cute! I would love to tear into that! 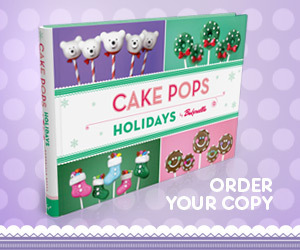 I saw this on the chronicle books site. How cute is that! I’d love one. How adorable! Thanks for the giveaway! I want to win! I’ll break into that adorable box like nobody’s business. I would so love to tear into that box! YUM! My four kids would flip out if that showed up in our mail box. 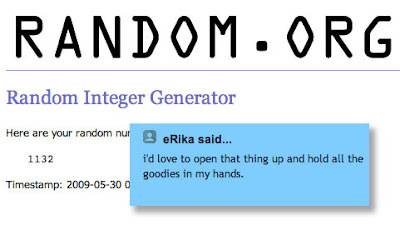 Pick me, random generator! 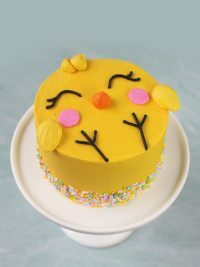 My kids love cupcakes and I would love to have that kit! 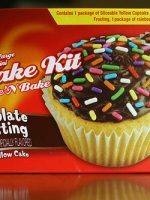 I would love a cupcake kit! I’d love to tear into it, it’s so cute! I would break my diet just to tear into that box! Yum! Great post. I’d love to be included in your giveaway! yes! I’d love it! I would totally tear into it! Oh my word! Everything is so cute! I think the kit would be awesome to have!